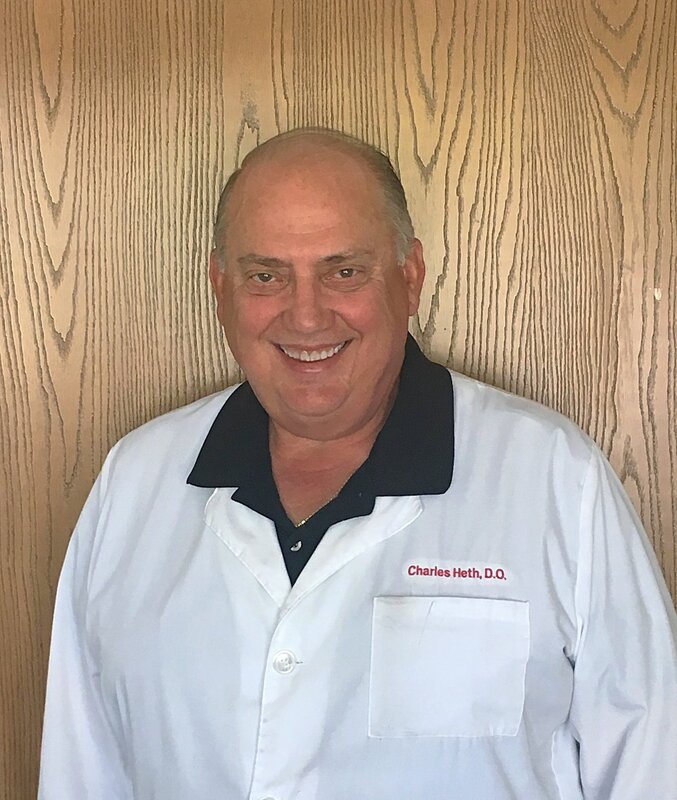 Meet the Staff — Dr. Charles E. Heth, D.O. With over 25 years experience, Dr. Heth is a well respected physician in Macomb County. He is involved in the training and education of medical students and residents at William Beaumont Hospital in Troy. Dr. Heth received his degree from Michigan State University College of Osteopathic Medicine. He completed his Family Practice Residency at William Beaumont Hospital in Troy, where he was named chief resident during his senior year. Dr. Heth is board certified in Family Medicine by the American Board of Family Practice and holds memberships with the American Academy of Family Physician, American Osteopathic Association and Michigan Osteopathic Association. Dr. Heth is on call 24 hours a day, 7 days a week for emergencies and still makes rounds to see his hospitalized patients at Beaumont Hospital in Troy. Dr. Heth enjoys golfing, international travel, and spending time with his grandchildren. Debra Damioli is a Nurse Practitioner with over 15 years working as a Registered Nurse in the Surgical Intensive Care Unit at Detroit Receiving Hospital. Debra received her Master of Science degree in Nursing from Wayne State University. She completed her clinical rotations at the Detroit Veteran's Hospital, Trinity Health Systems, and Michigan Institute of Urology. She is a member of the American Association of Nurse Practitioners. Debra enjoys spending time with her husband and children. Diana has a degree in Business Administration and has worked for Dr. Heth for over ten years. She works to maintain a positive experience for both patients and staff from the moment they enter the office to the time they leave. Diana is not only involved in the business aspect of running the practice, she is the patient advocate as well. She prides herself on creating a family oriented atmosphere and will go above and beyond her work duties to ensure each patient feels welcome, comfort and compassion. Diana enjoys the arts, the symphony and a good game of golf. Michelle earned her degree from Wayne State University and has worked for Dr. Heth for over ten years. Michelle focuses on improving communication with insurance companies and providing efficient billing procedures to ease the financial aspects of the office experience. Michelle not only enjoys spending time with her two beautiful daughter's, she is an avid runner as well. Dawn has worked for Dr. Heth for over ten years and is considered our expert phlebotomist, medical procedure assistant and patient caregiver, to name a few. Dawn is compassionate, diligent in her work and excels in maintaining and ensuring the highest level of patient care is provided. Kayla has her Associate's Degree in Applied Science and currently working toward her Bachelor's of Arts degree in Health Sciences with a concentration in Nutrition. She is the assistant Office Manager focusing on maintaining efficient and effective staff procedures. When it comes to patient care and work ethic, Kayla is one of our brightest stars. She has excellent computer skills, medical knowledge and deep desire to get the job done right. Trisha has her Associate's Degree in Applied Science. She is an experienced Medical Assistance who cares about our patients and works hard to meet their needs. Trisha enjoys body building, eating healthy and continuing her education. Lynda has worked for Dr. Heth for over seven years and has her Bachelor's of Arts degree in Transcription. She has a heart of gold when it comes to patient care. Lynda is not only known for her pleasant smile, but also excels in comforting those around her and brightening everyone's day. Lynda and her husband Jim have three children and two beautiful grandchildren. She enjoys knitting, reading, needlepoint, crochet, cooking and spending time with her family. Amy earned her degree from Purdue University and has worked for Dr. Heth for over four years. Amy is passionate about helping others and is involved in a variety of ministries. Her empathy for others is carried over to our patients as she strives to provide assistance and support where ever needed. She is married and has three children and five grandchildren. Her hobbies include gardening, decorating, cooking, reading, entertaining, travel and loving on people. Jacklyn has her Bachelor's of Arts degree in International and Community Development. Earning her degree in only three years, Jacklyn is highly motivated and dedicated to getting things done. She displays that same kind of focus and work ethic here at the office and throughout her life. From mission trips to Africa and counseling troubled youth, she embodies the great character, heart and compassion of such a special young woman.